SEATTLE, Wash. – April 12, 2016 – Phytelligence, a platform agricultural biotechnology company that is revolutionizing the way food crops are grown, has entered into a service agreement with TNV, LLC, a Tip Top Orchards licensed company, to aid in the development and growth of new and desirable cherry varieties utilizing Phytelligence’s genetic analysis capabilities, it’s genetic repository services, and its proprietary plant multiplication and growth processes. TNV, based in Wenatchee, Washington and Phytelligence, based in Seattle, Washington, will co-develop new natural cherry varieties, utilizing Phytelligence’s genetics skills to make breeding selections and identify new, better types of cherries for the orchard industry and consumers. 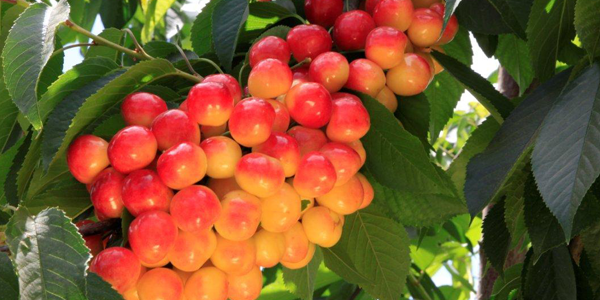 The team anticipates that new more appealing cherry varieties will be developed and available to consumers faster than the traditional process with the Phytelligence proprietary plant multiplication process and TNV’s industry knowledge and connections. Phytelligence’s genetic analysis capabilities will also be used to file patent applications and protect TNV’s new varieties. TNV is licensed by Tip Top Orchards, who discovered the ‘Tip Top’ cv. cherry and developed the Skylar Rae® brand, named for the beloved late daughter of Troy and Kim Toftness. In 2005, shortly after Skylar Rae’s passing, the family discovered a tree bearing a different looking cherry in their orchard. The fruit it produced had unique genetics, as confirmed by Phytelligence, and was unlike anything anyone had ever tasted before. They named the variety the ‘Tip Top’ cultivar after the orchard and began selling high quality cherries under the Skylar Rae® brand to honor their daughter’s name and carry on her legacy. ‘Tip Top’ cv. trees are licensed for production to C & O Nursery in Wenatchee, WA and worldwide licensing rights are held by SNV, LLC. Phytelligence has pledged to donate a portion of its revenue generated through the partnership to the Skylar Rae® Fund set up to help children and families. Donations have been made to the Seattle Children’s Hospital. TNV, LLC is a Wenatchee-based organization owned by Troy and Kim Toftness and licensed by Tip Top Orchards, LLC. Founded in 2001, Tip Top Orchards is best known for their discovery of the ‘Tip Top’ cultivar, which produces a bi-colored cherry with above-average firmness and high sugars. High quality ‘Tip Top’ cv. cherries are sold under the Skylar Rae® brand. Troy and Kim operate Tip Top Orchards, with their parents, Robert and Nancy Van Hoven and Jack and June Toftness. C & O Nursery Co. is headquartered in Wenatchee, WA and has been in existence since 1906. The Snyder family now has 4th generation members in key placement in the organization to augment the 3rd generation also actively involved in all aspects. C & O Nursery is the exclusive nursery assigned the rights to propagate the ‘Tip Top’ cultivar trees under the Skylar Rae® brand. SNV, LLC is an Intellectual Property company that handles several variety IPs. SNV, LLC is very proud to be the company representing the worldwide rights of the ‘Tip Top’ cultivar trees under the Skylar Rae® brand. Phytelligence is a platform agricultural biotechnology company that is revolutionizing the way food crops are grown. Phytelligence utilizes its proprietary growing techniques to provide superior quality crops that enable higher grower profit by increasing speed to harvest and reducing input costs. Phytelligence provides additional value to food growers through the application of advanced genetics enabling delivery of accurate plants, disease screening, plant repository services, securing of intellectual property, and the ability to co-develop new varieties of foods. Phytelligence also has a growing pipeline of biological and compound solutions aimed at improving returns throughout the food crop value chain. Phytelligence was founded by Dr. Amit Dhingra in 2012 out of his Horticulture Genomics and Biotechnology Research laboratory at Washington State University. Phytelligence is headquartered in Seattle with offices in Pullman, Washington and Portland, Oregon. For more information, please visit www.phytelligence.com.